Caulk containing polychlorinated biphenyls was used in many buildings during construction, renovations and repairs from the 1950s through the late 1970s. Many of these properties may still contain PCBs that could expose people to health risks. Even old caulk that is still flexible or is in visibly good condition could be a significant source of PCBs. The only way to be sure that caulk has PCBs is to have it tested. 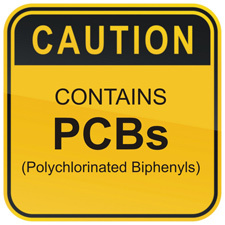 PCBs could also be present in other building materials including paints, mastics, sealants and fluorescent light ballasts. People should also consider PCB testing services before they begin a renovation or repair job, especially if the building was constructed or renovated between 1950 and 1980.